This is what I liked about Systema Excellence. Its very serious content, makes you think and look at martial arts in a new way. Just a great movie! Thanks for the huge amount of information. This is what impressed me in Mikhail Ryabko’s STEALTH STRIKING. Of course to be in his presence is a little more intimidating than watching the video, Even with his jovial humor and modesty, one can feel the tremenous power of this Teacher. 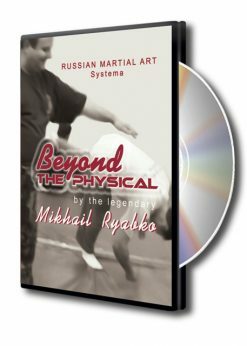 Mikhail’s insight shared in this video if studied in depth, gives enough information to create a whole Martial Art. I`m looking foward to watching the second part of this film, Internal Control by Konstantin Komarov. Finished watching “Systema Excellence” and that’s just what it was, excellent. i already whatched new dvd “Excellence” with Konstantin & Mikhail. it’s really a great explained dvd. it’s very interesting to heard about the knowledge of the body and human being and understand what’s being the fight !!! i feel it, understand & agree with simple principles that are as Konstantin said the most difficult to experienced !!! 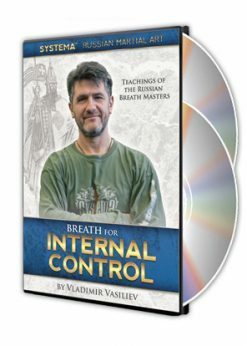 “Each DVD is an ongoing conversation between teacher and student, each teaching progresses all other teachings” says Mikhail at the end of his session. 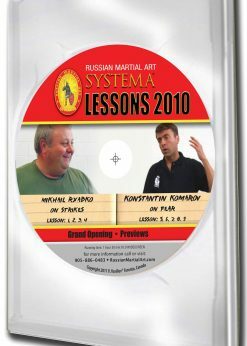 When you watch and listen to Mikhail Ryabko and Konstantin Komarov talking to each of us about the nature of Systema, you will look at your work and all the other DVDs you watch with greater insight. Mikhail will show you correct distance for Stealth Striking, determined by how tension grows in the opponent. This is the beginning of becoming accountable as you work with someone else. Mikhail’s methods address your mental attitude while you form a punch and how your movement through space will either signal to the opponent that you are coming, or catch him unaware. Stealth strikes are not trick punches, but the sleight of hand that comes from understanding what not to do, and how to veil your work in normalcy and stillness. Mikhail demonstrates many approaches to striking. He shows typical errors and how the opponent reacts defensively, and then, how to do it right. He raises his fist and asks, “Am I irritating you?” the evidence of which is obvious in his opponent’s body language. Mikhail doesn’t dwell on any technique, rather, he shows a process and from there many variations would be possible. I was moved by the way he meets the admiration of his students with a sincere humility. “The rumors of my mastery are greatly exaggerated”, he says with a smile and a laugh, after which he apologizes for any mistakes he might have made. Brilliant and down to earth are very compelling characteristics in a teacher, but this is also how he teaches us to practice Systema. Konstantin sums his reflections up by describing the learning spiral of Systema being helical, ever spiraling upward, crossing the same point on the circle of learning in new higher and sometimes extraordinary ways. “It all begins with the decision to do Systema, but then one has to decide again and again”. Just decide to study this DVD and I guarantee you’l watch it again and again. 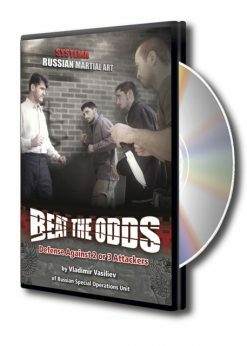 I really enjoyed this DVD, the explanations and demonstrations were just amazing. Very informative and to the point.